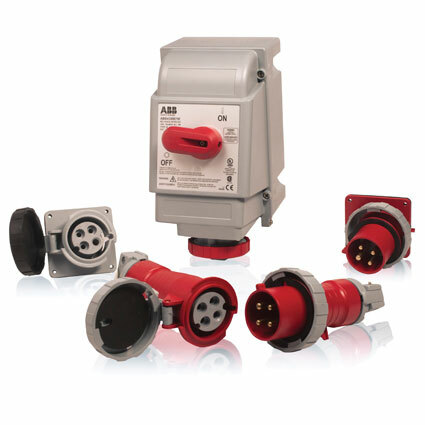 ABB/Russellstoll® IEC 60309 plugs and connectors are now IP69K rated, which is the highest dust and liquid ingress rating attainable, making the connectors ideal for applications requiring liquid ingress protection. The rating assures that the pin and sleeve devices have been certified to be compliant with the highest ingress protection rating. The Welcome® door entry system from ABB, the leading power and automation technology group, is a simple, easy and flexible way to meet the home-monitoring and security needs for single- and multi-family homes. It features two-wire, non-polarized technology, which simplifies installation. The outdoor stations snap onto the cover frames, also to simplify installation. The ABB CMS-700 energy monitor and control unit allows easy access for data collection, analysis and download through a built-in Web server to manage power and optimize energy efficiency analysis in a circuit monitoring system. The system is expanded with new open-core sensors that can be connected to existing installations easily without disconnecting power. SENTRICITY™ Load Centers and Circuit Breakers offer industrial-quality circuit protection for residential use by including energy-limiting technology that interrupts the circuit up to three times faster than conventional circuit breakers. The SENTRICITY family of products is named for its ability to act as a 24-hour sentry for the homeowner’s electrical circuits.